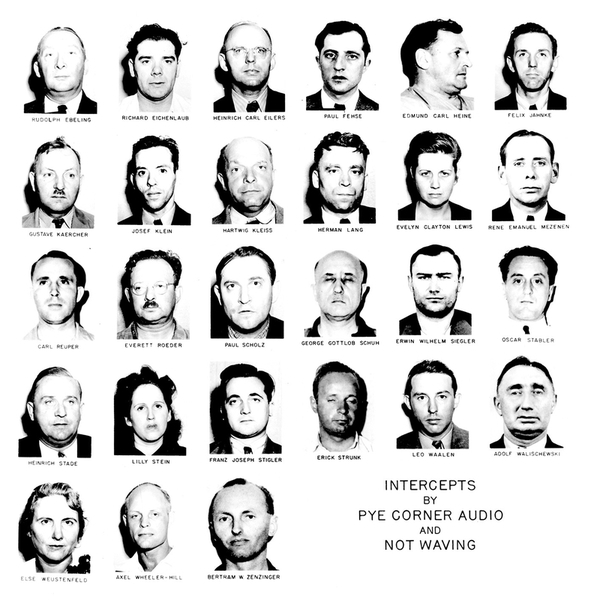 'Intercepts' is a declassified dispatch of industrial espionage and ambient adventures from the chambers of Pye Corner Audio and Alessio Natalizia aka Not Waving. Inspired by the arcane, furtive world of spy rings - from the Rosenburgs to the Cambridge Five and the Duquesne case - they present encrypted analog communiques resonating with the mystery and drama of those covert operations. 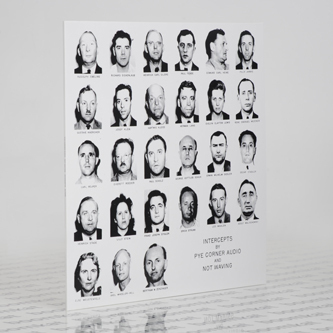 Pye Corner Audio sets out a killer suite of signature, lustrous synth arpeggios and soft-soled but driving bass perfect for purring around European cities behind blacked out windows, whilst Not Waving presents a set of precipitous kosmicshe drones, pastoral cues and adrenalised but ice-cool sci-fi techno. Psst, one for those who know…!